Wellington, Fla. – The Tyler McLellan Foundation is getting ready for the 7th Annual “Tyler’s Team” Charity Poker Classic being held on Sunday March 26, 2017 at the Palm Beach Kennel Club. This will be the seventh consecutive year the Palm Beach Kennel Club has hosted this event. Kevin McLellan says, “we are very happy with the relationship we have developed over the years with the management and staff, they are the best to work with and they do everything they can to accommodate us to ensure a successful event every year”. Since the first event in 2011, this event has grown, and we always want to make this event bigger and better for everyone. The Texas Hold’Em fundraiser will offer players a great day of camaraderie and some good poker and fun while helping a very worthy cause that helps to keep kids in youth sports. The event will offer players a complimentary buffet and soft drinks from 12:00-1:00pm along with celebrity bounties and a silent auction. Buy in is $50.00 with $20.00 re-buys and $10.00 add on’s. 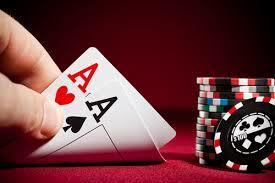 The tournament will start at 1pm sharp and pay the top 10% of the field. The winner takes home the “Tyler’s Cup” trophy, a 2017 WSOP Event Seat ($580.00), along with a cash prize. Sponsorship packages are now available for sponsors to join and help support “Tyler’s Team” in 2017. For volunteer and general information call Kevin McLellan at: (561) 215-3717. 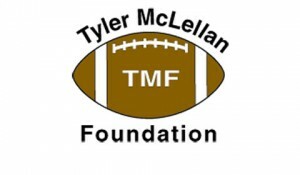 You can also visit their website at: www.tylermclellanfoundation.org. ABOUT US: The Tyler McLellan Foundation was started after the McLellan’s lost their 15-year old son in an “Angel Flight” plane crash in Tampa on July 17, 2008. Since forming the foundation in 2008, TMF has helped children in many different communities in the South Florida and Boston area through: sport registrations, college scholarships, sports equipment, donations, and sponsoring events associated with their individual sport or organization. Not only do they work and promote their own events, they also have volunteered hundreds of hours assisting many other organizations with their fundraising efforts and events. Since 2010, TMF has been instrumental in the distribution of over 80,000 pounds of food and fresh produce to the Glades area. 2nd Annual “Tyler’s Team” Charity Poker Classic They Came Out for the Kids!